Did you know that half of Ohio renters spend 30% or more of their income in rent, and more than 400,000 Ohio households spend more than half their income on housing costs? The economy is not working for many Ohioans; when rents and living costs keep going up and wages remain low, people are often just a car repair or a medical bill away from homelessness. The good news is, homelessness is a solvable problem. With increased funding and better local coordination, rates of veteran and chronic homelessness have decreased substantially in recent years. For three decades, COHHIO has been working on effective policy solutions to difficult housing problems and we appreciate your generous support. You can support the fight against homelessness in Ohio using our secure online donation system or mail a check to: COHHIO, Attn: Marcus Roth, 175 S. Third St., Suite 580, Columbus, Ohio, 43215. COHHIO gladly accepts vehicle donations including cars, trucks, motorcycles, boats or RVs. This program is made possible through a partnership with the Volunteers of America of Central Ohio. Why donate? First, your contribution will help further the work of COHHIO. Second, you may realize a greater value for your vehicle through your donation’s itemized tax deduction vs. a trade-in or private sale. Third, you eliminate the hassle of trying to sell your vehicle. To donate a vehicle, please contact Marcus Roth at marcusroth@cohhio.org or call 614-280-1984, ext 111. He will collect some basic information that will be passed on to the Volunteers of America. They will make pick-up or delivery arrangements for the vehicle and the title. You will receive all the paperwork you need to deduct vehicle donations on your taxes, including a donation receipt, a thank-you letter that acknowledges your charitable contribution and a copy of the Kelly Blue Book entry with your vehicle information to assist you in estimating the fair market value of your donated vehicle. 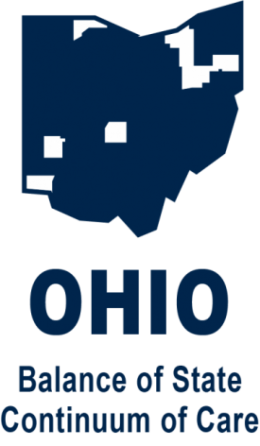 COHHIO participates in workplace-giving campaigns through Community Shares of Mid Ohio and all Federal Combined Campaigns in Ohio. These campaigns allow employees to donate directly to the organization of their choice. If you are a federal or state employee or work for the Ohio State University, Millcraft, Hahn Loeser & Parks LLP or WWHO UPN, to name just a few, you might be able to support COHHIO through workplace giving. We hope you will choose COHHIO if you are eligible. If your employer is not a part of workplace-giving program, we would be more than happy to give a presentation and get them set up! Call Marcus Roth today.